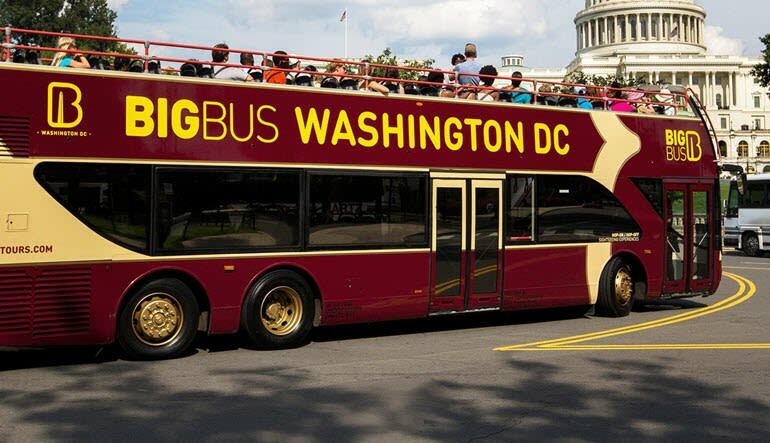 This Washington, DC bus tour takes you to all the city’s historic signposts. Learn about the Nation’s Capital from seasoned guides with a deep knowledge of history, politics, culture and architecture! This Washington, DC bus tour takes you to all the city’s historic signposts. 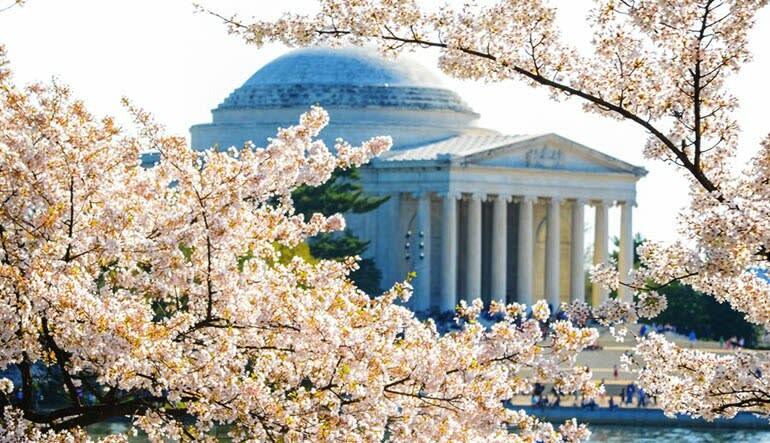 Learn about the Nation’s Capital from seasoned guides with a deep knowledge of history, politics, culture, architecture and just about any other subject that peeks your interest! And if you’re travelling with visitors who struggle a little with English, no worries. These tours also provide digital commentary in up to eight languages! Red Loop: the National Mall’s many monuments and memorials and Arlington National Cemetery. Blue Loop: the National Mall, the Pentagon and Pentagon City Mall. Yellow and Green Loop: Georgetown, the National Cathedral and the National Zoo. 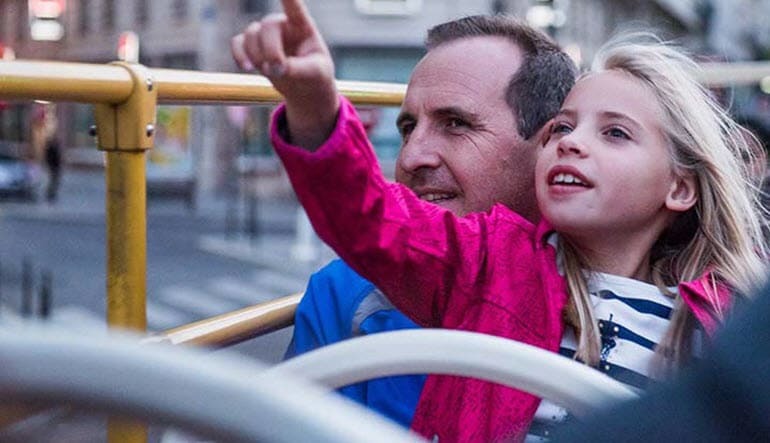 The Yellow and Green Loops take place on charming old-fashioned trollies while the Red and Blue tours zoom you through the city on huge, open-top double-decker buses! See the Lincoln Memorial, Ford’s Theater and more. Not to mention, all tours come with complementary admission to Madame Tussauds. You’ll get more done in one day than congress does in an entire session—and then some! The first bus departs at 8:30am on Red and Blue loops from Union Station. The first departure on the Yellow and Green Loops is at 8:30am form the Washington Hilton. Buses run approximately every 20 to 40 minutes on the Red and Blue Loops, every 20 minutes on the Yellow loop and every 30 on the Green Loop. The Last departure for all Loops is at 6:00pm. Final departures depart from Union Station, (Red and Blue) and the Washington Hilton (Yellow and Green).